Whether you are in love with horse racing, poker, online casino games, or live sports betting, SportsBetting.ag is a perfect platform for you. There are many live betting variations you can access from your smartphone. SportsBetting.ag was acquired by BetOnline in 2012 as a sister site, so the two are operated the same way. It is one of the most unique USA betting sites that accept bettors from all the states of America. It is an all-encompassing gambling platform where you can play casino games and bet on live sports. It is also a great option for those who love bingo and currency betting. At the end of this review, you will be in a position to determine if the site suits your gambling needs. To start off with this review of SportBetting.ag, let’s take a look at the upsides and downsides of the gambling site. 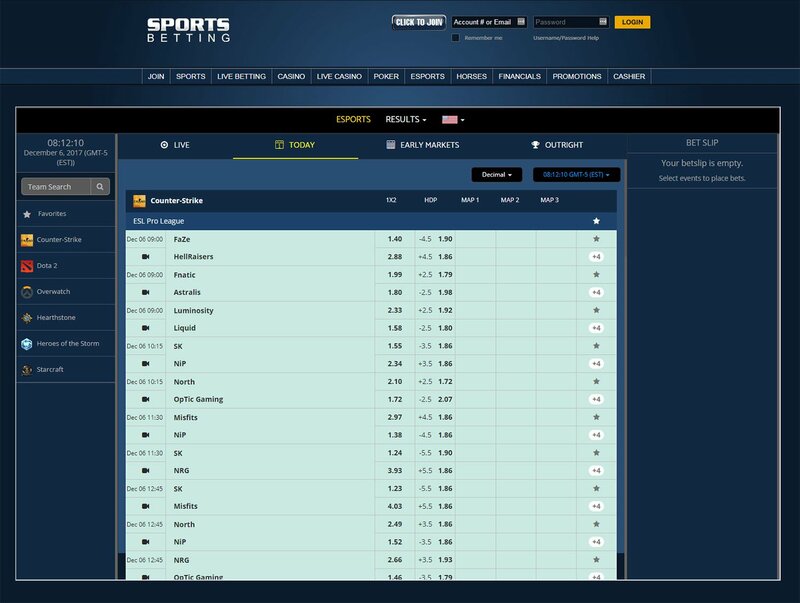 Before we get to the details of the eSports betting site, you need to know that Sportsbetting.ag has a proven record that not so many betting sites have, particularly those that are regulated outside of the USA. Now, you must be wondering how you can get a lifetime bonus on the site. Take a look. Yes, you can acquire a lifetime reload bonus! This is one of the unique and rare features of a gambling site. At SportsBetting.ag, you get a 25% free bonus of up to $1000 if you deposit for life on any sportsbook in free plays. If at any point your account runs out of cash, you simply need to use the code FORLIFE and you will receive 25% match up bonus on the sportsbook for any deposit between 50 to 4000 dollars. It has a smaller six times rollover compared to other deposit bonuses. Your bonus for life is valid at any given time as long as your account is reading zero. BETCRYPTO: it provides 50% bonus of up to $500 on the first deposit involving a Bitcoin/cryptocurrency. SB1000: the code is for another 50% bonus on the initial deposit. It can give you up to $1000. You can try out new blackjack tables with live dealers and when you place the first bet, there is a $25 money-back bonus just in case you lose that bet. The same promotion applies to racebook action, live game betting, and mobile betting. Apart from the new player bonus of 50%, a seasonal bonus of 50% is awarded sometimes and could give you up to $1000. There are many other bonuses which are specifically tailored to certain games. If you love the slot machines, you could land on a 100% match-up bonus while poker could give you a 200% bonus on your first deposit. There are two main categories of the live games you can bet on i.e. Main Sports and Other Sports. In each section, there is a wide array of sports leagues and organizations to bet on. Here are the live sports you can expect. Main Sports: Football, Baseball, Soccer, Basketball, Hockey, and Tennis. Other Sports: Softball, Boxing, Rugby, Futures and props, Auto racing, Futsal, Martial arts, Snooker, Pool, Golf, Cricket, and Lacrosse. If you can’t get enough of the site, go on and try the poker section which gives opportunities for big winnings every week in guaranteed tournaments. Don’t forget that each section comes with special promotions including deposit bonus, money-back for lost bets as well as rebate programs. We must admit that SportsBetting.ag has an impressive selection of payment methods we have not seen in an eSports betting site earlier. Not only do they provide some of the safest deposit methods but they also explain categorically everything that bettors need to know including recommendations for the best options and realistic withdrawal timeframes. Before you join any real money gambling website, you want to know how you can fund your account and get paid. At SportsBetting.ag, there are numerous payment methods including Mastercard, Visa, American Express, Book to Book, Ethereum, Money Orders, Bank wires, Check by mail, P2P payment, Bitcoin, and Litecoin. 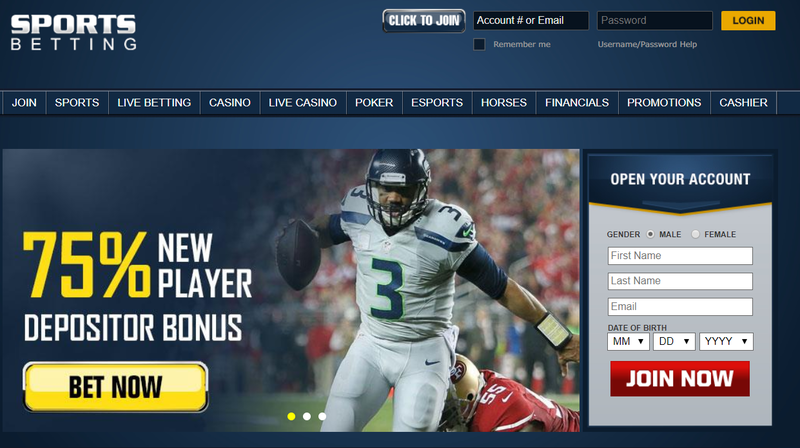 The wide spectrum of payment options is what differentiates the site from many sportsbooks. If you want to use Bitcoins, the minimum amount you can deposit is $20. For any other method, you can deposit at least $25. When it comes to withdrawing, the process is just as easy. You may cash out through a check by mail or Check Express, P2P transfer, Skrill, Litecoin, Bitcoin, and Bank wires. Note that every withdrawal method comes with a fee. When cashing out using Bitcoin, the least amount you can withdraw is $25 while P2P transfers allow a minimum of $50. The rest require a minimum withdrawal of $500. By far, Bitcoin is the most economical way to get paid on SportsBetting. P2P transfer charges range somewhere between $26 and $101 per withdrawal while Bank wires cost $45 — $75. If you prefer receiving your check via mail, it may take up to 30 days and a $25 fee will be charged. The Check Express option is a bit expensive ($50) but your money will be delivered within a week. A more affordable option would be the courier service which brings a check to your doorstep within 15 days and charges $35. Skrill is another great withdrawal method because it is fast and charges a flat rate of $20. If you need help, the customer representatives are only a click or call away. There is a toll-free number you can dial to speak directly to the agents or use the live chat option for a prompt reply. There is also an email address where you can send your message should you come across issues on the site. If you love social media, they have an active twitter account where you can chat with them on a friendly platform. It is no wonder that the eSports site has gained favor among gamblers and the most recent customer testimonials are positive. For this and many other reasons, it has become a popular platform for US eSports betting. Finding a secure gambling platform is not easy. You want a site you can trust that your bankroll is in safe hands. It is not an easy decision to choose a betting site but once you create an account at SportsBetting, you can rest assured that your money and personally identifiable data is safe. The site has proven to be a secure provider of online betting services. Not to mention, it accommodates all types of players- whether casual gamblers or betting veterans. Overall, SportsBetting.ag is a comprehensive gambling site that is set for satisfying all needs of recreational gamblers from the simplest to the most complex and professional betting. The sportsbook gives you a chance to wager on just any sport you have ever dreamt of. More than that, every bet option is available plus an all-encompassing live in-game gambling platform where you can place your bets. We particularly love the online casino which provides everything that gamblers desire including live dealer games, 3D slots, video poker, table games, and more. That’s not all; there is an exclusive racebook for horse racing and financial currency bets. Think about it- when was the last time you found an online casino where you could bet in real time on currencies? The skill games section another exciting portal where you can compete for real money with players across the globe.